This study reflects on the relationship between organizational learning and the constructs of exploration and exploitation inherent in ambidextrous learning. Extant theories reveal a dynamics in levels and flows of learning, feedforward and feedback, including two learning loops, ‘exploitation' and ‘exploration'. Universities are appropriate environments to foster knowledge creation and sharing. Collaborative learning environments stimulate knowledge creation and sharing by implementing distributed leadership behaviors that energize individuals to innovate and explore new ideas. Further analysis demonstrates that the social cognitive approach to learning is part and parcel of organizational learning. 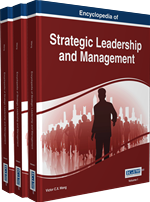 The fundamental premise in dissimilar leadership behaviors supports aspects of organizational learning. Leadership self-efficacy and its link with learning promote high levels of employee engagement and satisfaction as well as organizational performance. A culture of innovation is fundamental for organizations with transactional and transformational leadership behaviors. Primary data was gathered from a sample of university students from under and postgraduate Business and Economics degree programs. This study further ascertains whether University graduates gain awareness of a range of values that promote knowledge creation and nurture leadership self-efficacy. Learning processes are encouraged and easily accessible when all members in the organization embrace a culture of innovation. This collaborative learning environment urges the organization to improve mental models in order to reach even higher desired learning levels. New competencies are called for in order to create and improve organizational cognitive thinking models that in turn specifically enable HEIs and organizations at large to develop their collective, interactive and participative learning capability. The aim of this chapter is to ascertain whether universities, with traditional and bureaucratic organization structures, processes and procedures, can and are willing to undergo a paradigm shift in order to become ambidextrous organizations. The first configuration, i.e. refined interpolation, requires a grouping of different capitals, such as specialized human capital, social capital and organizational capital. The second configuration, i.e. disciplined extrapolation, requires a context with various capitals prevails, thus, general human capital, entrepreneurial social capital and mechanistic organizational capital. Therefore, Kang and Snell (2009) postulate three levels in order to demonstrate how exploitation and exploration are factors inherent in intellectual capital. While generalized human capital is closely linked to exploratory learning, specialized human capital is linked to exploitive learning. These authors also distinguish between social capital and entrepreneurial social capital. Social capital is linked to dense social ties and to strong cohesive groups, which are needed for complex knowledge transfer. Entrepreneurial social capital refers to less dense ties and a vast range of contacts that promote access to new knowledge. Furthermore, the organizational capital construct embraces these two abovementioned configurations, which in turn foster new ways of creating organizational knowledge, regarded as collaborative in nature. The collaborative learning environments stimulate knowledge creation and sharing by implementing distributed leadership behaviors that energize individuals to innovate and explore new ideas. Further analysis demonstrates that the social cognitive approach to learning is part and parcel of organizational learning. This study further reflects on the relationship between organizational learning and the constructs of exploration and exploitation inherent in ambidextrous learning. Shrivastava (1983) postulated that organizational learning arises from the ways in which knowledge is developed and shared in the organization. Moreover, according to Hult and Ferrell (1997), organizational learning refers to the manner in which the organization transfers and integrates information. It is for this reason that Schwandt and Gundlach (1992) posit organizational learning as a process that transforms information into knowledge. Feedback: Flows of learning that occur between levels of learning, known as feedback - from the organization to groups and individuals; tension in this flow of learning, known as exploitation, is concerned with feedback and includes issues of selection, refinement, efficiency as well as execution with vested interest in short term benefits. Moreover, exploration learning, at the individual level, is associated with developing and absorbing. Performance: Exploratory and exploitative learning, at the individual, social and organizational levels, may give, rise to high performance levels. Social and structural factors impact on organizational performance and mediate individual learning. Positive results energize self-beliefs, produce higher levels of performance arising from reflection on one’s self-efficacy and double loop learning. Universities: Organizations should reveal learning processes and are encouraged and easily accessible when all members embrace a culture of innovation. This collaborative learning environment urges the organization to improve mental models in order to reach even higher desired learning levels. Organizations that should reveal the capability to simultaneously interact between the two learning loops is extremely beneficial for the organization's innovation capabilities, known as ambidextrous learning. Distributed Leadership: Distributed leadership is a characteristic that the collective have rather than solely the individual, it is a collective action where the total is notably more than the sum of its parts; the distributed perspective of leadership practice takes shape in the interactions of people and their situation, instead of the individual leader’s actions, an approach in alignment with the systems perspective. These leadership behaviors energize individuals to innovate and explore new ideas. Leadership Self-Efficacy: Beliefs solely related to the effective leadership could support learning and development programs albeit dependent on the specific needs of the leader or function, also arises from non-conventional and challenging behaviors, as well as from the outline of the vision. Leadership self-efficacy beliefs solely related to the effective leadership could support learning and development programs albeit dependent on the specific needs of the leader or function. Feedforward: Flows of learning that occur between levels of learning, known as feedforward - from individuals and groups to the organization; tension in this flow of learning, known as exploration, is associated with feedforward and it includes issues such as: enquiry, questioning, risk-taking and experimentation with long term benefits. Organizational learning: Organizational learning arises from the ways in which knowledge is developed and shared in the organization. Organizational learning is also the way the organization transfers and integrates information. This learning occurs when the organization applies codified, explicit and tacit knowledge to adjust itself to its environment and its competitors. By adjusting prevailing mental models, organizational learning occurs. Knowledge Creation: Individuals create new ideas arising from sharing their knowledge by interacting with others in an environment where organizational learning fosters collaborative effort. Ambidextrous organizations are environments that stimulate knowledge creation and sharing by implementing distributed leadership behaviors that energize individuals to innovate and explore new idea. Information is transferred into knowledge via organizational learning. Self-efficacy is related to knowledge sharing and high levels of self-efficacy, regarding those skills necessary for knowledge sharing and performance, may result in the probing of individual goals, as well as in a greater effort, persistence, satisfaction and performance.